For over thirty years in business, I have always been able to bring out our values, professionalism, passion, prevention, innovation and integrity. Being a native of the Haute Gatineau region, our family residence was located near the Kitigan Zibi Anishinabeg community. Having Iroquois and Algonquin ancestors, we are recognized as metis. 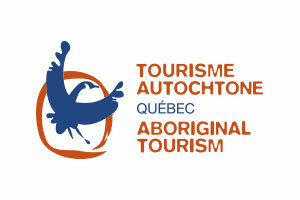 We encourage the development of aboriginal communities. We have a distinct and pro-active approach. Our objective is to help communities to carry out construction and infrastructure projects. We care about people and prioritize win-win relationships. Our expertise is a major asset for our business partners. Our team is young, dynamic and made up of many native people. We offer training in construction management and jobs as project coordinator for your local resources. Retrofit of an existing building of approximately 120 existing rooms for Inuit traveling from Nunavut to the Ottawa area for medical services. Beaudoin Canada is a registered company under the Procurement Strategy for Aboriginal Business (PSAB).